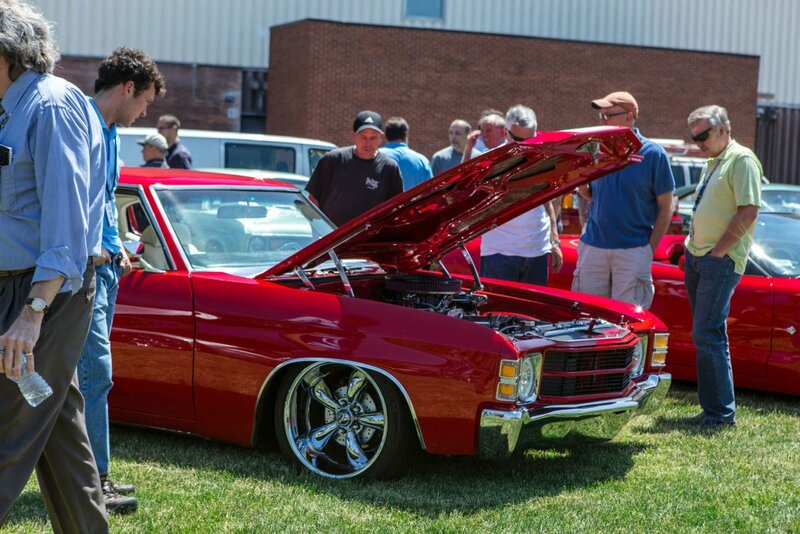 “Classic” certainly described the atmosphere at Eastman Business Park’s 29th Annual Show & Shine Car Event on Thursday, June 15, and that’s not just talking about the 61 automobiles on display. The entire event—which included a barbecue and a parade through the park—had the old-timey family feel that many of the nearly 350 Kodak employees, tenants, retirees and vendors in attendance proudly associate with their place of work. One of the event’s founders—car enthusiast and retiree Ray May—says the car show began in 1988, when he, several of his coworkers and fellow members of the Street Machines of Rochester club decided to display their classic cars in Gassler Park for two of their friends who worked at the cafeteria. In return, their friends cooked lunch for them outside. From this humble beginning with only six cars on display, the car show grew organically until it became the Kodak tradition it is today. However, aside from the increase in scale and perhaps the inclusion of some newer vehicles, the event hasn’t changed much over time; the location, the cars and the BBQ remain the same. This preservation applies even to the music. Kodak retiree “Duke of Earl” (Earl Biedeck)—whose stage name was taken from the 1962 song by Gene Chandler—has DJ’d the event for the past 26 years, enriching the show with music and trivia from ’50s and ’60s. Dave Johnston, another co-founder of the event, uses the show to reconnect with his former coworkers. “You see a lot of people you used to work with,” he said. For many of the attendees, the car show serves as a reminder of the fondness they have toward the business park they called home for decades.